There are now two ways to use UberFlip content with FeedOtter. The first relies on getting and RSS feed from your UberFlip account. The second is a direct REST API integration that allows you to directly select and access UberFlip streams from FeedOtter. 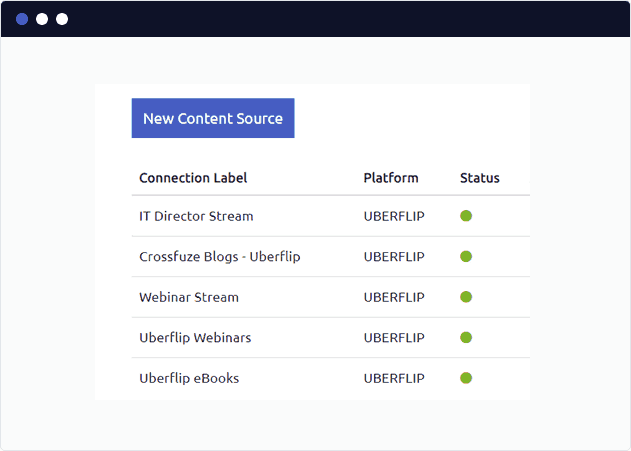 The easiest way to connect your uberflip content is to create an email containing your latest uberflip content. To do this log in to your Uberflip Hub and look for your Hub URL in the upper left-hand corner. Once viewing your stream look for the RSS button in the bar above the Stream Items. Copy and paste this link to a notepad as you will need to enter this into FeedOtter to connect your Hub content. 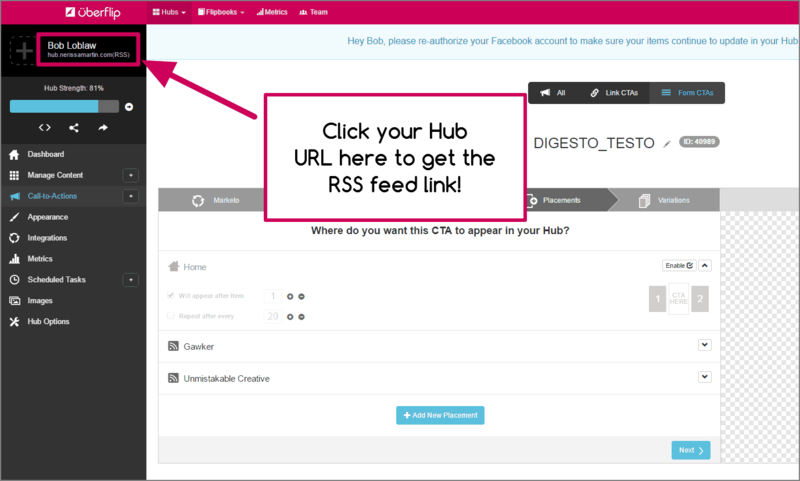 You can use your UberFlip RSS feed url to power an automated RSS email, blog digest, or notification emails. The RSS feed can also be used as a content source for a curated email newsletter. 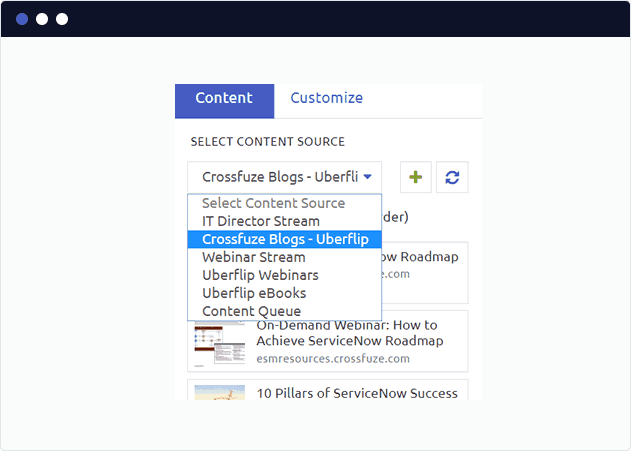 Your UberFlip RSS feed url can be used to automate RSS emails, blog digests, and notification emails. All emails can be sent from your existing marketing automation system. Curate your UberFlip content into a responsive curated email newsletter in minutes. Our UberFlip Email Addon Sends From Your ESP! FeedOtter is integrated with all your favorite ESP’s and marketing automation tools so your emails are easy to send, track, and measure. If you primarily want to build a curated newsletter we recommend you use our direct REST API UberFlip integration.